As this week is the last week before NaNoWriMo begins, there is a flurry of activity going on for finishing up your outline or brainstorming for your novel. Tomorrow, as it so happens, there is a Virtual Write-In on Wednesday, Oct 28 at 3 p.m. PDT (west-coast time). A Virtual Write-In is an hour-long live stream event, where you can write in the company of NaNoWriMo HQ and thousands of other writers around the world. We run word sprints, offer writing dares, and celebrate each other’s achievements. Join our brainstorming VWI to run through some inspiration-generating prompts this week! If you can’t make that, and you’re feeling a bit lost, don’t worry–you can still get some guidance on your project by using the hashtag #NaNoCoach on Twitter and tweet a question to this week’s mentor, Renée Watson. Just use the hashtag and tweet away whenever you like, but there’s going to be a meeting time where Renée and other coaches will answer your questions on-the-spot: Wednesday, Oct 28, 4 p.m. PDT. On Wednesday, all six of our NaNo Coaches—including Randy and this week’s coach, Renée Watson—will be participating in a tweet-chat for a perfect storm of inspiration, advice, and NaNoWriMo excitement! So what are you waiting for? 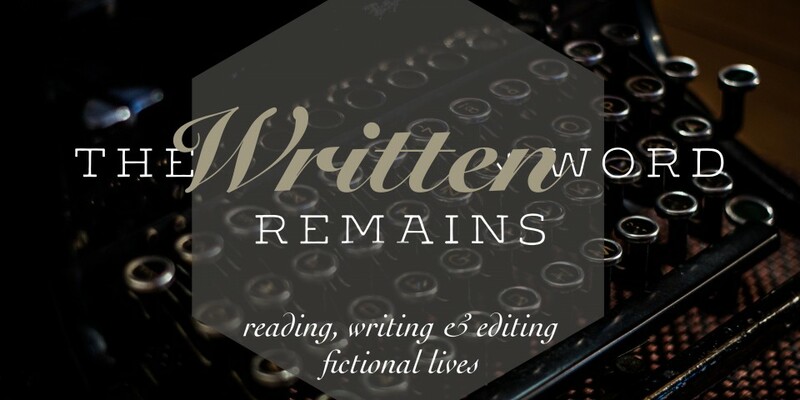 Get over there on YouTube or Twitter and start finding some other writers to brainstorm with! Given the imminent arrival of November, and with it, National Novel Writing Month, this quote seemed especially fitting this week. 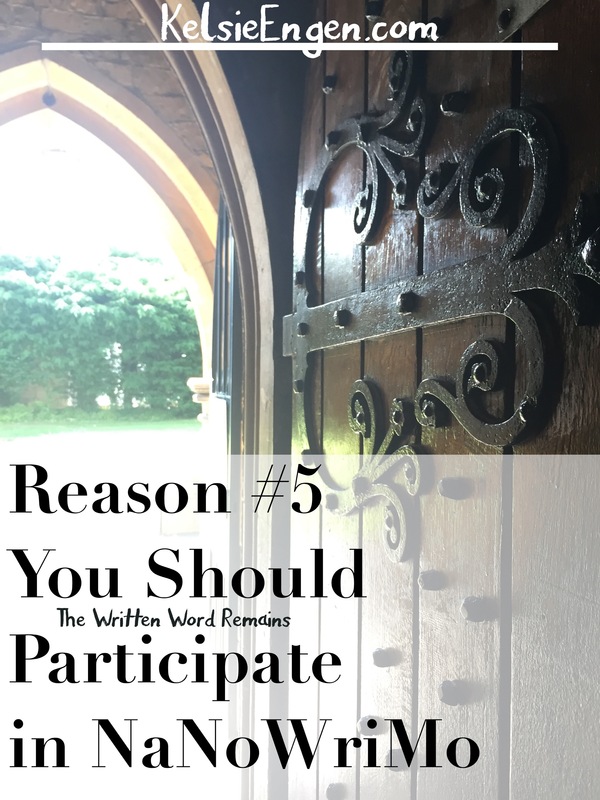 For what is NaNoWriMo but an excuse to release that story inside us all? It’s already that time again. How did another week pass us by so quickly? I know I was busy writing, among other things. Awhile ago I claimed that while I loved Scrivener, I had abandoned it for Storyist. Well, I’m here to admit that’s a lie. I couldn’t help myself, you see? It’s just so…useful. And with more time at my actual computer lately, I just had to rewrite my novel in Scrivener. I couldn’t bear to try to write it through in Storyist and not have certain tools at my fingertips. When you’re writing for a deadline (like NaNoWriMo), having something break down exactly how many words you have to write. And if you’re word obsessed like I am, tracking your daily word count is made just plain awesome through Scrivener’s target. Are you like me and you forget how you described someone? Have a hard time keeping all your character’s characteristics straight? When I’m in the thick of writing a scene, I have a difficult time stopping to figure out if my character in question is blond or brunette, if he has thick or thin eyebrows, blue or brown eyes. Linking a passage of text to a character bio allows the opportunity to keep track of when you introduce physical descriptions of characters, or quirks, or anything specific to a character. Likewise for places. If you’ve created a fictional place, or if you’ve chosen to fictionalize a real place, or even just researched a real place, creating a file for the place gives you a chance to keep all that information nearby. If you’re the kind of writer who creates on the fly, then you can create a link to the passage you first introduce the place and when you introduce new material. Do you like to outline? Yes or no, corkboard may change your mind. This view is a super simple form of outlining your novel in Scrivener. Just create your scenes and label them. You can add a synopsis of what happens in the scene if you wish, or just leave the title to be the description. Either way, it creates a bird’s-eye view of looking at your novel. You can drag them around to reorder and see how things line up, which also reorganizes all your scenes, should you have done more than label them. Each added file is a scene, which can then be put into folders or “chapters.” Creating chapters allows you to organize your scenes and keep track of them in a more general fashion. This type of greater organization also gives you the opportunity to minimize the chapter files into the folder, thus giving you a less cluttered view. If you are interested in self-publishing, this ability to export or compile your scenes into an epub file or a mobi file, etc., gives you great leeway and flexibility. All the formatting is done for you. check out these tutorials through Literature & Latte or YouTube. As I ever-so-briefly touched on the other day in a post on outlining, subplots use the same main structure as your main plot. That means each subplot needs an inciting event, a pivot point 1, a midpoint, a pivot point 2, a climax, and a resolution. What makes them “sub” and not main? Page time is the simple answer. Looking for a more complicated answer? A subplot is a secondary plot, usually focusing on a different theme than the main plot, and as such neither requires nor receives as much page time as the main plot. Subplots often focus on a different theme, perhaps love, relationships, money, family, a secret, career, etc. (the subjects are endless). The most typical subplot is one of love. Consider your favorite non-romance novel. Is there a romantic storyline in it? It’s probably a subplot. A subplot also usually (although not always) involves a minor character’s desires instead of the main character’s desires. The best subplots advance the main plot. Let’s take one of the most well recognized novels in history: Pride & Prejudice. This is a romance novel, arguably one of the best. Thus it comes as no surprise that the main plot is a romantic plot, between Elizabeth Bennet and Mr. Darcy. However, there are several secondary plots, all of which are also romantic plots. (I know, I said above that the subplots usually focused on a different theme. Key word: usually.) These subplots involve the romances between Jane and Mr. Bingley; Charlotte Lucas and Mr. Collins; and Lydia and Mr. Wickham. Now Ms. Austen could have written these as throwaway plots, rabbit trails, especially Mr. Bingley and Jane, as Mr. Bingley had no romantic interest in Lizzy–ever. However, she was a wise enough author not to do that. Instead, she used Mr. Bingley’s attraction to Jane and Mr. Bingley’s friendship with Mr. Darcy in order to advance the main plot: romance between Mr. Darcy and Elizabeth. Without getting into the entire story, which most of you are familiar with (if not, check out the summary at SparkNotes), let’s discuss how the subplots advance the main plot. Charlotte & Mr. Collins: Originally, Mr. Collins, who happens to be Mr. Bennet’s cousin and legal heir because he has no son, has fixed his sights on Lizzy. Of course, this has been promoted by Mrs. Bennet, who foolishly decides that the ridiculous man would be suitable for her smartest daughter. However, Lizzy puts the cabash on that union in no uncertain terms, asserting herself in a clear way that shows Austen’s adept hand at using this subplot to develop her main character’s personality and display her character. But wait!–that’s not all it does. What this subplot also does is develop Austen’s almost satirical discussion on the truth of marriages in that day. When Charlotte accepts Mr. Collin’s rebound proposal, going into with eyes wide open and knowing that she will never love him, but that he will be able to provide for her and will be a good match, she provides a demonstration of how many marriages were logical choices and not love matches. Was Charlotte unhappy with this marriage? No. She was grateful for the opportunities it provided, and clearly makes the best of it, as our later interactions with her shows. Lydia Bennet & Mr. Wickham: This is the subplot which advances the main plot the most. For when Lydia elopes with Wickham, it is Mr. Darcy who feels obligated to save the day and track them down, then force Wickham to marry the woman whose honor he has stolen. It is this subplot which demonstrates to the reader and Lizzy most clearly the character of Mr. Darcy. When Lizzy discovers what he’s done to promote the recovery of her and her family’s honor, she realizes she’s hopelessly in love with him, and that he deserves it. He is not the man she thought he was, he is better. Who knew P&P had so many subplots? So when do you know if you need a subplot? No one needs a subplot. However, there are times where a subplot would strengthen the plot of your novel. Usually when you are having a difficult time getting to “novel” length in your writing, like when you’ve written 20K words and you feel like you’re already at the climax of your story, consider adding a subplot to see what that would change. How do you tell if a subplot would make your story better? Experiment. Brainstorm. There’s nothing wrong with having to remove a subplot later, even though it can be difficult. Consider how removing the three subplots from P&P would change the story. First of all, you’d have no elopement, no way for Darcy to prove his character other than Lizzy’s unexpected visits to Pemberly and Rosling Park. 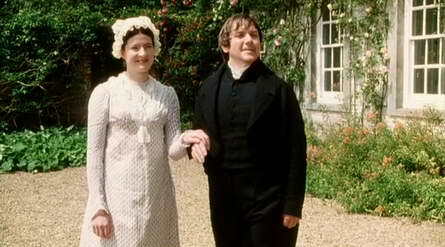 You’d have only the conflict between Lizzy and Darcy to rely on, no Mr. Collins for comic relief, etc. Removing those three (or even one) of those subplots would drastically change the novel we know and love. So take a chance and experiment. There is no danger in trying!